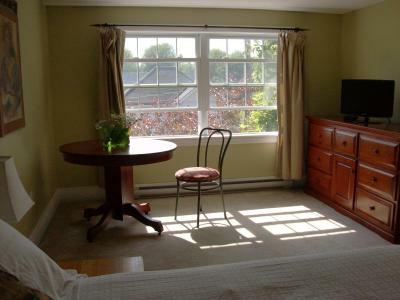 Lock in a great price for Rosa's Bed and Breakfast - rated 9.3 by recent guests. The owner was very friendly and welcoming. The breakfast was excellent, probably the best we have ever had. Our accommodation was very comfortable, clean and spacious. There is parking at the property. Very friendly and helpful host. Very comfortable accommodations. The room was spacious and cosy. The distances to historic sites were short and convenient. Corinne is a nice and helpful host. Corinne the owner was extra helpful, she helped us find the sites to visit. Breakfast was excellent, and just talking with her, she made us feel home. Comfy bed, bathroom to ourselves as other room on our level was unoccupied. Nice breakfast, freshly cooked. Hostess very friendly with helpful "tourist" info. The bedding was super comfy! Corinne was a delightful hostess as was her daughter Sophie and pets (dog and cat). Our hostess was so flexible regarding breakfast. We were able to invite a "guest" to join us, and we could vary breakfast times. Corinne and her daughter made us feel welcome to use the TV room, the backyard deck and the saltwater pool. She had lots of suggestions for sightseers like us! The homeowner was very pleasant and helpful when asking about the area we were visiting. Corinne did not only an excellent job running the B&B, but was also an outstanding cook and "tour guide" with very helpful hints to find the local treasures. We also enjoyed the company of Mona and Lola; the cat and dog. Incredibly comfortable bed and a super friendly host. And their cat and dog are adorable. 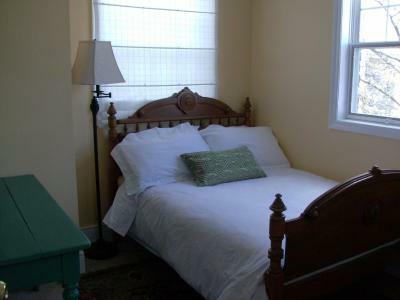 Located in downtown Kingston, this B&B is about 11 minutes’ walk to a variety of restaurants and shops on Princess Street. 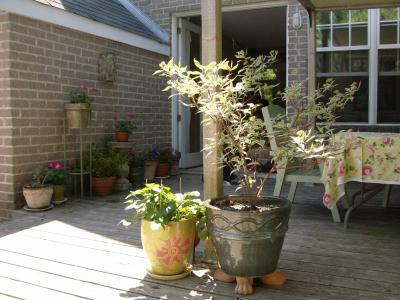 It features an on-site terrace and air conditioned rooms. 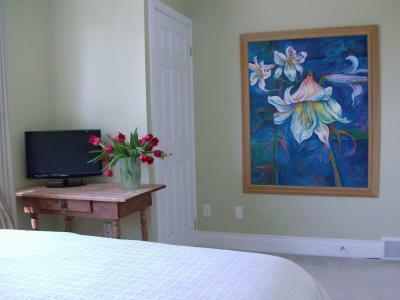 A flat-screen TV and free Wi-Fi are included in Rosa’s Bed and Breakfast’s bright guest room. 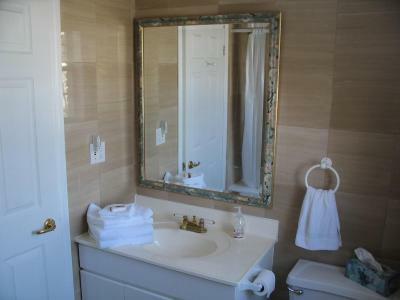 A private bathroom is provided. 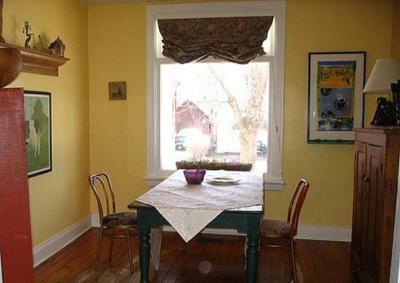 A full breakfast including fruit and yogurt is served daily at Rosa’s B&B. A vegetarian, vegan or gluten-free breakfast can be prepared upon request at no extra charge. 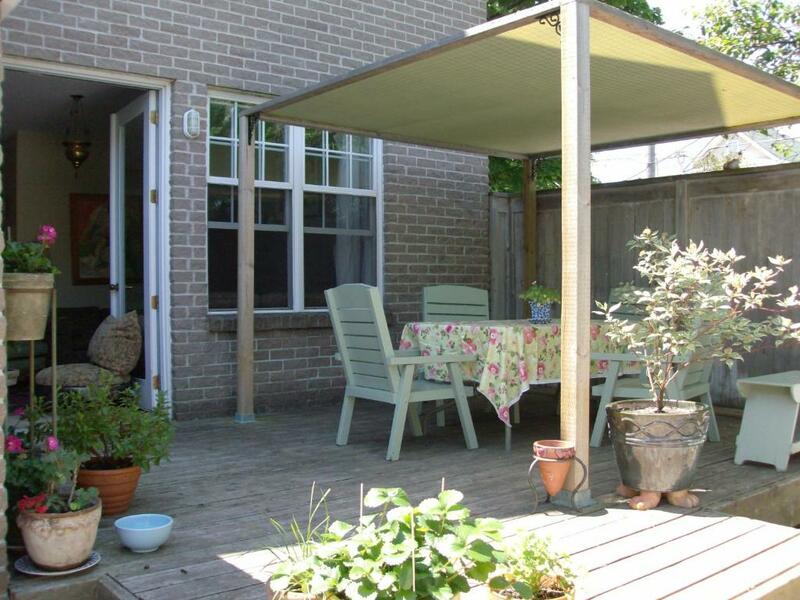 Guests can enjoy their morning meal on the private patio if weather permits. 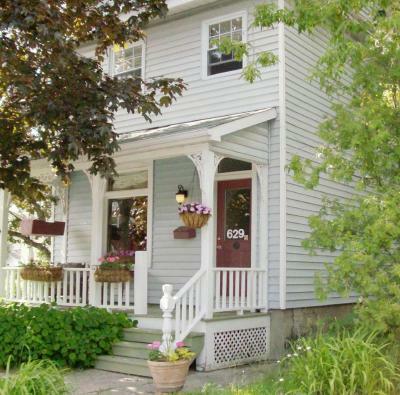 This B&B is just 8 minutes’ walk to Queen’s University. Lake Ontario is just 15 minutes’ walk away. Complimentary parking is available. 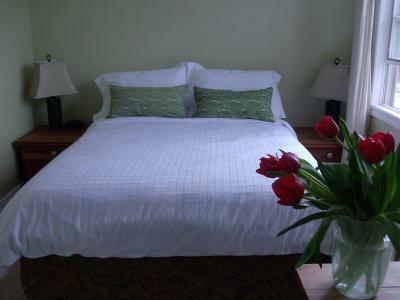 Rosa's Bed and Breakfast has been welcoming Booking.com guests since 16 Apr 2012. 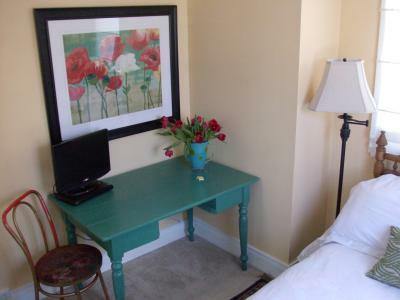 When would you like to stay at Rosa's Bed and Breakfast? 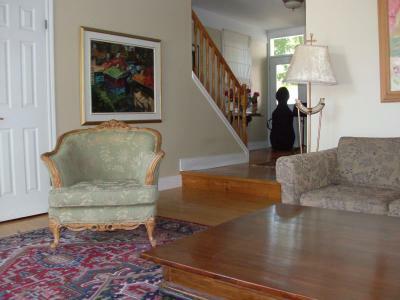 Rosa’s Bed & Breakfast, is located in downtown Kingston. 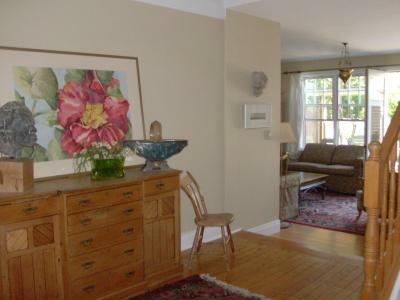 It is an 8 minute walk to Queen’s University. 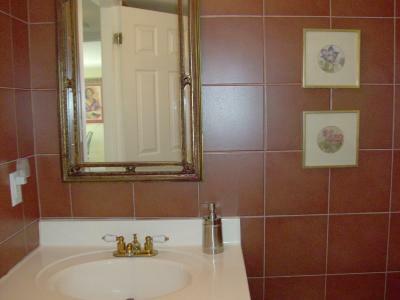 Rosa’s is walking distance to most restaurants, tourist attractions and downtown shopping. 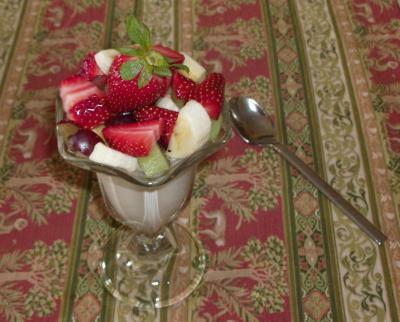 We offer a full breakfast, including fruit, yogurt, and a main dish. Our breakfast is served outside on the patio (weather permitting). We also provide vegetarian, vegan and gluten free alternative choices, at no extra charge. Flat screen TV, free internet and parking. 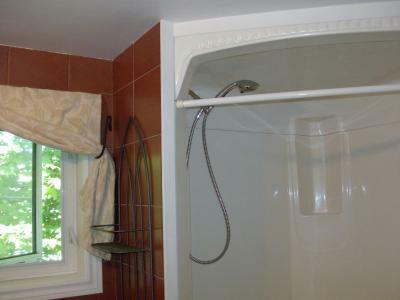 Air conditioning when needed, and a small, 15 foot above ground, salt-water pool for your enjoyment. House rules Rosa's Bed and Breakfast takes special requests - add in the next step! Rosa&#39;s Bed and Breakfast accepts these cards and reserves the right to temporarily hold an amount prior to arrival. Rosa's Bed and Breakfast accepts these cards and reserves the right to temporarily hold an amount prior to arrival. Please note that the owners of this property have a dog and a cat living on site. Please note that any additional person will be required to take a second room and additional charges will apply (see Hotel Policies). You need a car to visit Kingston waterfront as the property is a little way out. It is only 5 minute drive but too far to walk. No hot tub as advertised. Comfortable accommodations with a lovely breakfast within walking distance of downtown Kingston and Queens University. Our stay was amazing and incrediably relaxing. The breakfast was amazing! Our host was kind, very accomidating and fun to talk to! The room was very clean and super comfortable. I would definitely recommend Rosa's to anyone! Unusual painting of what appears to be an unhappy man dressed like a woman in my bedroom. Nice breakfast and personable owner / host. A lot of steep stairs to our room. Johnson street is very busy with traffic. lots of fresh air and space to ourselves, helpful advice from owner. Near queen's University. Great walking area. The area was fantastic and very comfortable for us. We were able to walk everywhere easily and got to do a lot of sightseeing without breaking the bank. And the bed and breakfast is also really close to the water so we got to enjoy that as well. Corinne was super lovely and breakfast was always a delight.